Join experts from EPA for a Twitter chat on the proposed rule to clarify Clean Water Act protection for certain types of streams and wetlands. The chat will take place on Tuesday, May 13, 2014 from 1 to 2 p.m. Eastern Time through EPA’s water Twitter account @EPAwater or https://twitter.com/EPAwater. To participate in the chat or ask a question go https://twitter.com/EPAwater or follow the hashtag #USwaters on Twitter. Tuesday’s Twitter chat would be a great opportunity to let the EPA know you want them to “Ditch the Rule!” Go to http://ditchtherule.fb.org/#filter=.gosocialfor tweets to send the EPA during the Twitter chat. The American Farm Bureau Federation has asked its members to resist a proposed rule from the Environmental Protection Agency that it says will impose unworkable regulations on the nation’s farms. Published Monday in the Federal Register, the more-than-111,000-word “Waters of the U.S.” proposed rule reflects the EPA’s latest interpretation of the 1972 Clean Water Act. The rule could ultimately lead to the unlawful expansion of federal regulation to cover routine farming and ranching practices as well as other common private land uses, such as building homes. Among other things, the rule would expand federal control over land features such as ditches and areas of agricultural land that are wet only during storms. If carried out, Farm Bureau says, ordinary field work, fence construction or even planting could require a federal permit. The result will be a wave of new regulation or outright prohibitions on routine farming practices and other land uses. 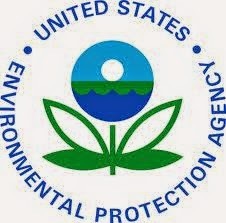 EPA contends that an entire set of exemptions will protect many farmers from the burdensome new rule. But Stallman counters that those exemptions will only apply to farming that has been ongoing since the 1970s, not new or expanded farms. Even for those farms, the exemptions do not cover weed control, fertilizer use or other common farm practices. The already narrow exemptions, Stallman said, have existed for years but have been further narrowed by EPA guidance issued simultaneously with the proposed rule. “The EPA exemptions offer no meaningful protection for the hundreds of thousands of farmers and ranchers whose operations and livelihoods are threatened by this expansion of EPA’s regulatory reach,” Stallman said.